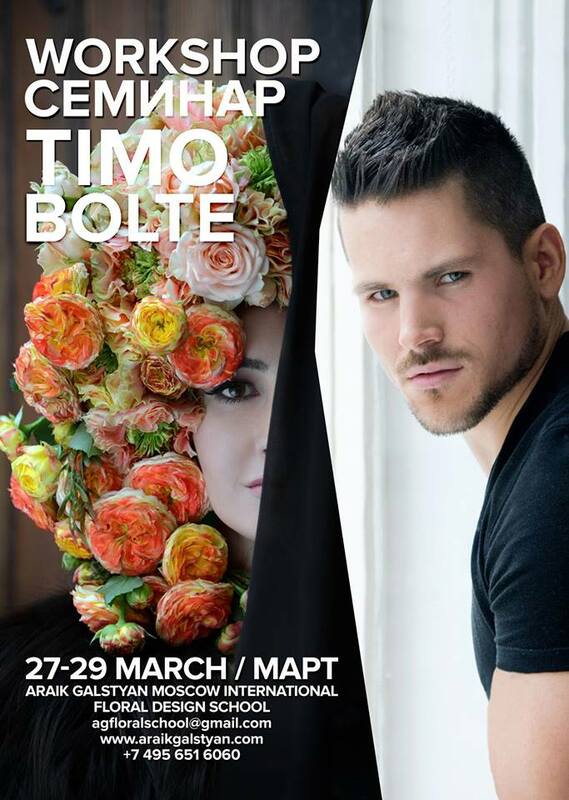 Browsing articles from "Февраль, 2015"
We invite for the workshop of Timo Bolte on 27-29 of March, 2015 in Moscow at Araik Galstyan Moscow International Floral Design School. One of the awards winners of the International Championship florists INTERFLORA RUSSIA CUP was involved in the creation of special bouquets for the catalog INTERFLORA, section — Premium. It is this subject, as well as the successful launch of his cabin at the global level was dedicated workshop on «Commercial floristry class LUX special projects: catalogs, promotional. Secrets of a successful presentation florist salon in the world. 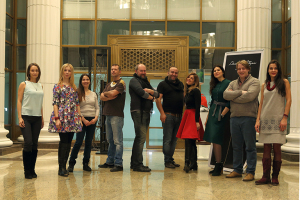 Innovative technology for start-up companies «, which was held from 20 to 24 January in ARAIK GALSTYAN MOSCOW INTERNATIONAL FLORAL DESIGN SCHOOL MBA. All bouquets made by students of the school under the guidance of an experienced hand of the master to fully comply with the latest floral trends and floral art show that higher test does not need to be saturated with plenty of exotic flowers and plants. 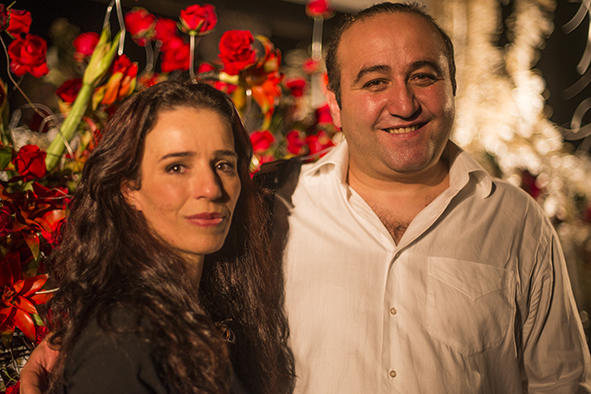 In the last days of November, the world-famous floral designer Araik Galstyan visited one of his favorite countries — Brazil, where he held a very interesting event-Flower Show 2014 Brasil, which is organized by a remarkable person and a talented florist Liana Glingani. Sea of flowers, smiles, good mood, breathtaking beauty of the work — this show was truly an event for the floral world of Latin America. In addition the Brazilian television show was held, during which showed how Arayik can be a very original design bouquet from plants widespread in the country.